Keeping your blood sugar levels in the right limit can be a task. A lot of factors are responsible for fluctuating blood glucose level. Especially for diabetic persons, it becomes extremely essential to stay in the normal sugar level. Glucose (sugar) is the main source of energy of the cells that make-up our muscles and tissues. The glucose level in blood comes mainly from your food and your liver. Certain lifestyle habits hamper the normal sugar levels in our body. Excessive sugar intake does not directly cause diabetes. It makes you gain weight. And this puts you at risk of acquiring diabetes. 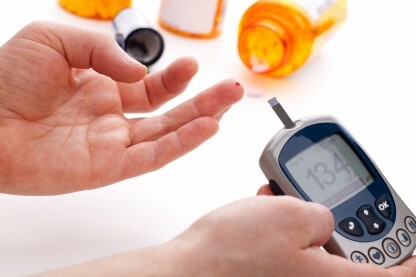 Diabetes then leads to a risk of having a stroke or liver damage. Sweetened beverages like sodas and energy drinks are the biggest sources of added sugar. They account for more than 1/3rd of the added sugar we consume. Other sources include cakes, fruit drinks, ice creams, candies and ready to eat cereals. Statistically speaking, 12 ounces of a regular canned soda contains approximately 9 teaspoons sugar. So even one can a day would put men and women over the daily limit. People who consume high levels of sugar are at a higher risk of developing cardiovascular diseases. A high sugar diet stimulates the liver to dump harmful fats into the bloodstream and even this can turn into a heart disease. How to avoid this damage? Limit your sugar intake to less than 10% of daily total calories and this will keep you in your normal blood sugar level limits. With today’s lifestyle it is important for people of all age groups to invest in some sort of physical activity. Exercise – even if it is a basic jog. This not only will help you stay fit but reduce your risk of a chronic disease. Reduces chances of chronic health issues. Importance of regular blood sugar test and a glucometer. Get a sugar test done on a regular basis. A sugar test will help you be aware of any underlying health issues that might make things worse in the future. A glucometer is also an alternative you might want to consider. It saves you from the hassle of visiting a clinic each time you need a test and the records can be later used for consultation by your doctor.